The commercial pilot was conducting a cross-country personal flight. About 15 miles from the destination airport, while in instrument meteorological conditions at 3,300 ft mean sea level, the pilot declared an emergency to air traffic control, stating that the airplane was experiencing an "engine problem." The pilot asked the controller about the nearest airport, and the controller provided him with radar vectors to that airport. The pilot then attempted to glide the airplane to the airport, but he reported that he was unable to maintain altitude. The controller then advised that there was a highway right of the airplane's position and about 2.5 miles away, and the pilot responded, "we have no engine we're [in instrument meteorological conditions] I need help." The airplane impacted a house before reaching the highway. It is likely that low cloud ceilings prevented the pilot from locating and navigating to a suitable forced landing site. An examination of the engine revealed that the alternator drive coupling had failed, which resulted in damage to other internal engine components and ultimately resulted in a catastrophic engine failure due to a lack of oil lubrication. The investigation identified two possible conditions that could result in the coupling failure; but was unable to determine which was more likely. First, it is possible for components of the coupling to progressively move out of tolerance due to repeated "slip testing," which is a procedure the engine manufacturer prescribed to be performed anytime the coupling was removed and installed on an alternator shaft. The purpose of the test is to ensure that the coupling's elastomer section, which was designed to slip in the event of an alternator shaft seizure, will not slip under normal conditions. However, it is possible for certain components within the coupling to shift slightly during this test. If they shift far enough, the coupling will not be properly seated when installed on the alternator shaft. This condition is not readily detectable by direct observation. There are currently no published procedures to inspect or measure the coupling for this out-of-tolerance condition. One engine overhaul facility found two new couplings as received from the manufacturer that were out of tolerance. The coupling could also have failed due to one or more of the following: insufficient torque applied to the alternator shaft nut, loosening of the nut to align the cotter pin holes, or failure to lubricate the threads before assembly on the shaft. Either an out-of-tolerance coupling or an improperly installed one can result in insufficient clamping force holding the coupling against the alternator. If there is insufficient clamping force, the coupling can rotate on the shaft and cause unusual wear and the ultimate failure of the coupling, which can lead to catastrophic engine failure. Sets of instructions for the installation of the coupling were available from several sources, including alternator manufacturers, the engine manufacturer, and repair and overhaul facilities. Although the sets of instructions were similar, the steps and details varied among them, and some of the instructions omitted critical guidance. The set of instructions provided by the engine manufacturer was the most complete; however, some steps were generalized and located in separate locations within the maintenance manual. None of the instructions advised that the assembly torque procedure was the designed means to prevent the coupling from rotating on the shaft, not the woodruff key. This may be counterintuitive because of how a woodruff key is generally used, and installers or part suppliers may not realize the importance of each step in the engine maintenance manual. Further, none of the instructions advised that a loose or improperly tightened coupling may lead to a catastrophic engine failure. The total loss of engine power due to the failure of the alternator drive coupling. Contributing to the accident was the pilot's inability to locate and navigate to a suitable forced landing site due to low cloud ceilings. 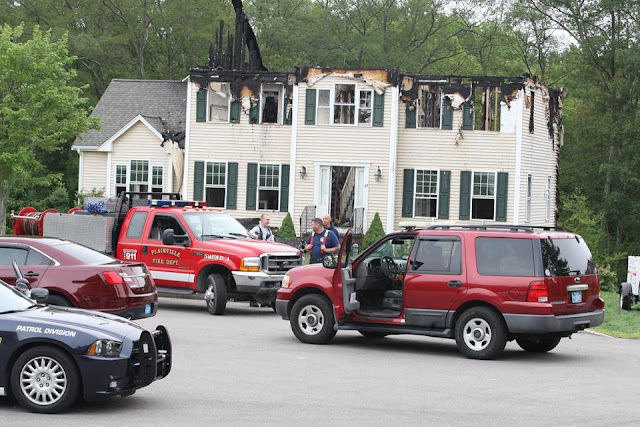 On June 28, 2015, at 1745 eastern daylight time, a Beech A36, N5626D, impacted a residence and terrain following a total loss of engine power near Plainville, Massachusetts. 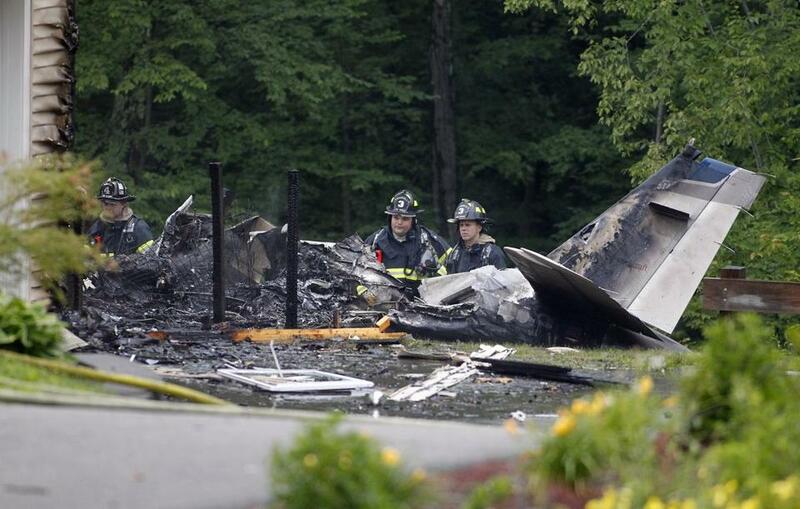 The commercial pilot and two passengers were fatally injured, and the airplane was consumed by postcrash fire. The airplane was being operated as a 14 Code of Federal Regulations Part 91 personal flight. Instrument meteorological conditions existed near the accident site about the time of the accident, and an instrument flight rules flight plan had been filed. The flight originated at Lancaster Airport, Lancaster, Pennsylvania, about 1612, and was destined for Norwood Memorial Airport (OWD), Norwood, Massachusetts. Review of radar and voice communication data provided by the Federal Aviation Administration (FAA) revealed that the pilot was preparing to conduct an instrument approach procedure for landing at OWD. The flight was about 15 miles from OWD at an altitude of 3,300 ft mean sea level (msl) when the pilot declared an emergency to air traffic control, stating that the airplane was experiencing an "engine problem." The pilot asked the controller about the nearest airport, and the controller provided him with radar vectors to an alternate airport. About 30 seconds later, the pilot advised that he was unable to maintain altitude, and he subsequently stated, "we got a real bad vibration we're losing engine." The controller advised that there was a highway right of the airplane's position and about 2.5 miles away, and the pilot responded, "we have no engine we're [in instrument meteorological conditions] I need help." The controller provided vectors toward the highway, which the pilot acknowledged. Shortly thereafter, the pilot stated, "we're gliding." At this time, radar data showed the airplane about 1,450 ft msl and 2 miles south of the highway. The last recorded radar return, about 40 seconds later, showed the airplane in a right turn about 700 ft msl and at a groundspeed of 66 knots about 0.1 mile from the accident site. Several witnesses reported hearing an airplane engine making noise and then stopping or going silent. They could not see the airplane due to the low cloud ceiling. One witness, who was located across the street from the accident site, described first hearing a "low moan buzzing sound" and then looking up and seeing the airplane over the trees at the rear of his property with its wings "wagging back and forth." He added that, as it passed over his house, it was flying in a straight line and "wobbling." He then lost sight of it, and shortly after, heard a "boom." 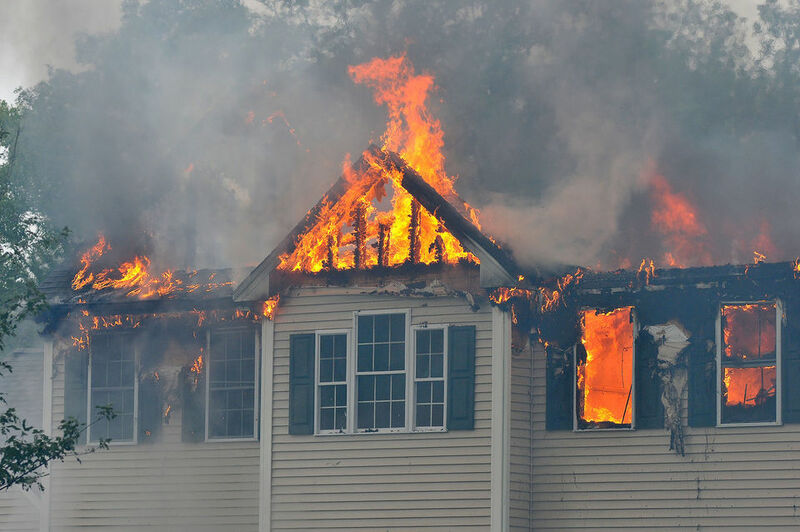 Another witness, located adjacent to the accident scene, described hearing what sounded like "a broken fan" before the airplane impacted the house. 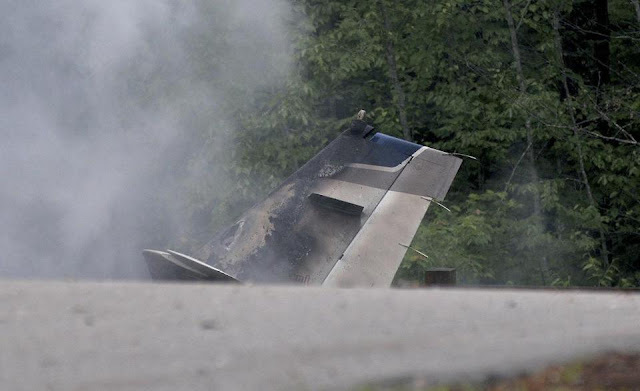 According to FAA records, the pilot held a commercial pilot certificate with airplane single-engine land, airplane multiengine land (limited to center thrust), and instrument airplane ratings. The pilot's logbook was damaged by fire and was not legible. His most recent FAA third-class medical certificate was issued on April 17, 2014, at which time, he reported 1,500 hours of total flight experience. The six-seat, low-wing airplane was manufactured in 1990 and powered by a Continental IO-550-B6A, 300-horspower, six-cylinder engine driving a three-bladed propeller. The airplane's most recent 100-hour inspection was completed on June 5, 2015, at which time, the airplane had accumulated 2,143 total hours in service and 2,143 total engine hours, 410 hours of which were accumulated since the engine was overhauled in June 2011. The engine maintenance logs noted that the oil filter was examined for metal particles during the most recent inspection as well as during five of the seven oil changes performed since the engine overhaul, and no metal or debris was found. The engine oil was also sampled and analyzed by a test laboratory three times since overhaul with normal results. When the engine was overhauled, an overhauled primary alternator and a new parts manufacturer approval (PMA) alternator drive coupling were installed. The alternator was removed and replaced twice in October 2011, at 21 and 23 hours since engine overhaul, respectively. No logbook entries specifically mentioned the alternator drive coupling (a gear assembly installed on the alternator shaft that mates with a gear on the engine crankshaft to turn the alternator). According to a representative from the engine overhaul facility, the serial number of the coupling in service at the time of the accident matched the one that was installed at the time of overhaul. The coupling did not have a specified life limit; however, the instructions for continued airworthiness provided by the coupling manufacturer recommended that it be replaced at engine overhaul. The airplane was also equipped with a standby alternator installed in accordance with a supplemental type certificate. The 1735 recorded weather observation at North Central State Airport (SFZ), Pawtucket, Rhode Island, located about 8 miles southwest of the accident site at an elevation of 440 ft msl, included overcast ceiling at 800 ft above ground level, wind from 010° at 9 knots, visibility 9 statute miles, temperature 14°C, dew point 11°C, and an altimeter setting of 29.70 inches of mercury. 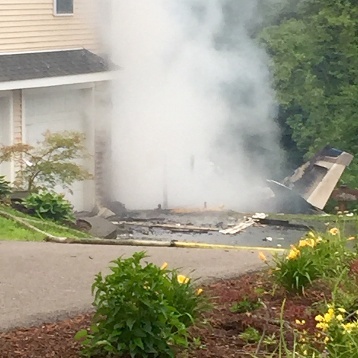 The airplane impacted the corner of the roof and the backyard deck of a residence and came to rest upright, parallel to and about 15 ft from the rear wall of the home, oriented on a magnetic heading of 320°. The airplane and most of the residence were consumed by postcrash fire. Flight control continuity was established from the flight control surfaces to the cockpit area; the left rudder cable and the left aileron cable turnbuckle exhibited fractures consistent with overload. The right flap actuator position was consistent with the right wing flap being in the retracted position. The left flap actuator was consumed by fire. The landing gear and actuators were found in the extended position. First responders reported detecting a strong odor of fuel when they arrived on scene. Examination of the engine revealed that the crankcase was breached over the No. 6 cylinder barrel. Two additional puncture holes were found in line with the No. 1 cylinder connecting rod, located between the left and right magnetos. The oil sump was fractured and partially melted away. Fragments consistent with bearing material, connecting rods, lifters, and crankcase material were found in the oil sump and outside the engine crankcase. During a follow-up examination of the engine, the alternator drive coupling (also commonly referred to as the alternator clutch, drive hub or clutch gear assembly) was found loose on the alternator shaft with its housing separated into two pieces (see figure 1). The coupling exhibited abnormal wear on the inside of the shaft collar and on the gear teeth. The shaft collar section was separated from the remainder of the housing on the back of the coupling (alternator side), around the circumference of the hole, which also exhibited wear consistent with the coupling rotating on the alternator shaft. Both sides of the thrust washer exhibited abnormal wear. The woodruff key was not found. The face gear that drove the coupling was separated from its crankshaft flange, and all four of the attachment bolts and remnants of their locking tabs were found in the oil sump. A portion of the crankcase adjacent to the face gear was damaged and worn away, consistent with contact from the back side of the face gear ring. Metal particles; bearing, piston, connecting rod, and crankcase fragments; and orange particles consistent with the alternator drive coupling's elastomer were found throughout the engine. Metal and elastomer particles were also found in the oil filter element. Four of the piston connecting rods were found separated from the crankshaft, three of which exhibited thermal discoloration and mechanical damage consistent with lack of lubrication and overheating. The two connecting rods that remained attached to the crankshaft (Nos. 3 and 4) would not rotate. Upon disassembly, the Nos. 3 and 4 connecting rod bearings were found mostly intact, and displayed discoloration and deformation consistent with thermal distress and lack of lubrication. The oil passages in the crankshaft that supply oil to the connecting rod bearings were absent of debris, however the No. 6 oil passage was partially obstructed by smeared journal surface material. All of the connecting rod journals sustained thermal discoloration, the most significant of which were Nos. 1, 2, and 6. The Office of the Chief Medical Examiner, Commonwealth of Massachusetts, conducted an autopsy on the pilot. The manner of death was determined to be "accident." The FAA Bioaeronautical Sciences Research Laboratory, Oklahoma City, Oklahoma, conducted toxicological testing of specimens from the pilot. The testing was negative for carbon monoxide, ethanol, and drugs of abuse. Ranitidine, an antihistamine used in the treatment of gastric acid secretion, was detected in the urine. This medication does not pose a hazard to flight safety. A review of maintenance guidance materials and testing in the National Transportation Safety Board (NTSB) Materials Laboratory revealed two conditions that could result in the alternator drive coupling failure identified during examination. First, using improper assembly torque values or procedures when tightening the alternator shaft nut will cause the coupling to progressively loosen over time due to abnormal wear. This may occur by not using a calibrated torque wrench, applying improper torque values, or using inadequate maintenance guidance materials. Six different sets of installation instructions for the coupling were found during the investigation: two from the alternator manufacturer, one from an unidentified repair station, one from the engine overhaul facility, and two (the overhaul maintenance manual and a superseding service bulletin) from the engine manufacturer. Although similar, each set of instructions had different steps and different levels of detail. For example, specific steps in the engine manufacturer's set of instructions were omitted in other instructions. Further, some steps were more clearly prescribed in one set of instructions than in another set. For example, the alternator manufacturer's set of instructions advised to torque the nut to within the range of 300 to 450 inch-pounds and install the cotter pin. Both the engine manufacturer's and the overhaul facility's set prescribed to torque the nut to precisely 300 inch-pounds and then to align the cotter pin holes. If the holes did not align at 300 inch-pounds, the instructions advised to continue applying torque until the holes aligned, up to the maximum value of 450 inch-pounds. The engine manufacturer's instructions also specifically stated not to reverse the nut when attempting to align the holes. Only the engine manufacturer's set of instructions advised that the shaft/nut threads be lubricated with engine oil. That guidance was available peripherally in the preamble to an appendix in the engine maintenance manual that contained tables of torque values. Lubricated threads will result in a much higher "clamping force" holding the coupling against the alternator and resisting rotation on the shaft for a given torque value. None of the sets of instructions noted that the torque procedure and the resulting clamping force are the primary means of preventing the coupling from rotating on the shaft. Although the design of the coupling includes a woodruff key and channels, which are commonly used in other applications to prevent collars from rotating on shafts, that was not the intended purpose for this coupling. In this case, the woodruff key was intended to aid in the coupling installation process by arresting the alternator shaft during the torqueing procedure. The woodruff key was not designed to resist the loads on the coupling during normal engine operation. Figure 2. Exemplar alternator, coupling, and components. The second condition that could result in a coupling failure like that identified during examination is an out-of-tolerance coupling assembly. Specifically, if the gear section of the assembly is not fully seated in the housing and protrudes above the top of the shaft collar, the thrust washer will contact the gear instead of the shaft collar during installation of the coupling (see figure 2). As the nut is tightened against the washer, some of the applied torque will be consumed as the washer presses the gear back into the housing. As a result, less of the applied torque will be converted into the clamping force holding the coupling against the alternator. If that clamping force is insufficient, the coupling will progressively loosen over time due to abnormal wear. This out-of-tolerance condition was observed in the NTSB Materials Laboratory on an exemplar PMA coupling and an exemplar original equipment manufacturer (OEM) coupling that had undergone improper "slip testing," which is a procedure the engine manufacturer prescribed to be performed anytime the coupling was removed and installed on an alternator (slip testing is also performed on all couplings at the manufacturer before delivery). The purpose of the test was to ensure that the coupling's elastomer section, which was designed to slip (allow the gear to rotate independently from the housing) in the event of an alternator shaft seizure, will not slip under normal conditions. The test required that the housing be held fixed and that a specified torque be applied to the gear using a special tool. During this test, if too much torque was applied and the elastomer started to slip, the gear section would slide up and away from the housing a small distance. If this improper testing occurred repeatedly and/or severely, the coupling will become out of tolerance. Currently, there are no published procedures to inspect or measure the coupling for this out of tolerance condition. The engine overhaul facility found two new PMA couplings that were out of tolerance as delivered from the manufacturer; the cause of their condition was not determined. A representative from the engine overhaul facility reported that he had observed several couplings from 2005 to 2015 that exhibited some type of failure or abnormal wear. The damage he observed was consistent with the coupling rotating on the shaft, slipping at the elastomer, or both. Specifically, he observed worn thrust washers, damaged or missing woodruff keys, damage to the key channels on the alternator shaft and the coupling, abnormal wear to the shaft collar section of the housing, separation of the shaft collar section from the housing, and disintegration of the elastomer. He was not aware of any effort to systematically track these failures or estimate the time in service of the damaged couplings; however, he notified the FAA principal maintenance inspector who conducted oversight of the overhaul facility whenever a failure was discovered. He indicated that most of the failures he had observed occurred in engines that were installed in twin-engine airplanes. He noted that the failures were often in the Continental Motors GTSIO series engines, in which the alternator rotated in the reverse direction from the type of engine installed on the accident airplane. He added that the facility only installed PMA couplings during overhaul but that he had observed failures in both the PMA and OEM couplings. A review of records available in the FAA service difficulty reporting system database revealed 10 entries that may be related to an alternator coupling failure; however, the descriptions of the issue and level of detail available in those records varied widely and did not include any photographs. A review of the engine manufacturer's warranty records for the 5 years preceding the accident revealed six claims in which the coupling was described as "failed," "damaged," or as having "come apart." The warranty records did not contain any photographs or sufficient detail to determine if the reported problems were similar to the failure of the accident coupling. According to the engine manufacturer's maintenance manual, the coupling and the face gear that drives it should be examined as part of the alternator inspection during the 500-hour engine inspection. The procedure included examining the coupling for damage or missing material and performing the "Alternator Drive Hub Slippage Inspection" or slip test. The OEM coupling may be reused indefinitely if it satisfactorily passes inspection and slip testing. The PMA coupling manufacturer recommended that it be replaced during major engine overhaul. The airplane was equipped with a warning annunciator light labeled "LOW BUS VOLTS" that was designed to illuminate in the event of an alternator failure. Although the alternator may not fail, a coupling failure may affect or stop the rotation of the alternator, which would result in an indication of alternator failure in the cockpit. There is no method to differentiate a mechanical failure of the coupling, which could lead to catastrophic engine failure, from an electrical failure of the alternator system. According to the Beech A36 pilot's operating handbook, the last step in the emergency procedures for an alternator failure with or without a standby alternator was to "land as soon as practical." 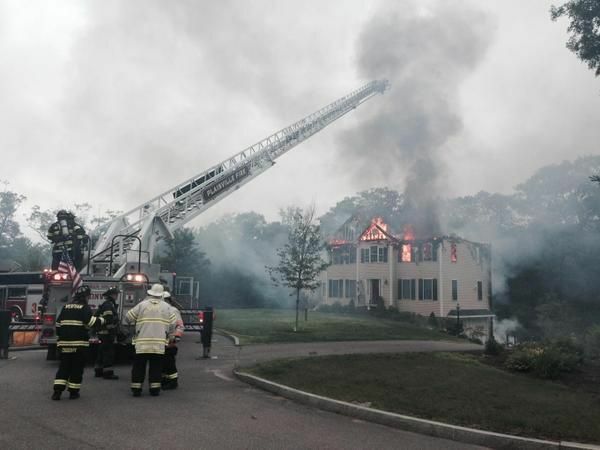 On June 28, 2015, at 1745 eastern daylight time, a Beech A36, registration N5626D, was destroyed when it impacted a residence and terrain following a total loss of engine power near Plainville, Massachusetts. The commercial pilot and two passengers were fatally injured, and the airplane was consumed by post-crash fire. Instrument meteorological conditions prevailed, and an instrument flight rules flight plan was filed for the flight, which originated at Lancaster Airport (LNS), Lancaster, Pennsylvania about 1612, and was destined for Norwood Memorial Airport (OWD), Norwood, Massachusetts. The personal flight was conducted under the provisions of Title 14 Code of Federal Regulations Part 91.
Review of preliminary radar and voice communication data from the Federal Aviation Administration revealed that the flight was preparing to conduct an instrument approach procedure for landing at OWD. The flight was about 15 miles from OWD at an altitude of 3,300 feet mean sea level when the pilot declared an emergency to air traffic control, stating that the airplane was experiencing an "engine problem." The pilot queried the controller about the nearest airport, and was given radar vectors. About 30 seconds later, the pilot advised that he was unable to maintain altitude, and subsequently stated, "we got a real bad vibration we're losing engine." The controller advised that there was a highway to the right of the airplane's position and about 2.5 miles away, to which the pilot responded, "we have no engine we're [in instrument meteorological conditions] I need help." The controller provided vectors toward the highway, which the pilot acknowledged. Shortly thereafter, the pilot stated, "we're gliding." At this time, radar data showed the airplane at an altitude about 1,450 feet. The last recorded radar return, about 40 seconds later, showed the airplane in a right hand turn at an altitude of about 700 feet and groundspeed of 66 knots, about 1/10 mile from the accident site. Several witnesses reported hearing an airplane engine making noise and then stopping or going silent. They could not see the airplane due to the low cloud ceiling. One witness, who was located across the street from the accident site, described first hearing a "low moan buzzing sound" and when he looked up, observed the airplane over the trees at the rear of his property with its wings wagging back and forth. As it passed over his house, it was "wobbling" in a straight line. He then lost sight of it, and heard a "boom" seconds later. Another witness located adjacent to the accident scene described hearing what sounded like "a broken fan" before the airplane impacted the house. 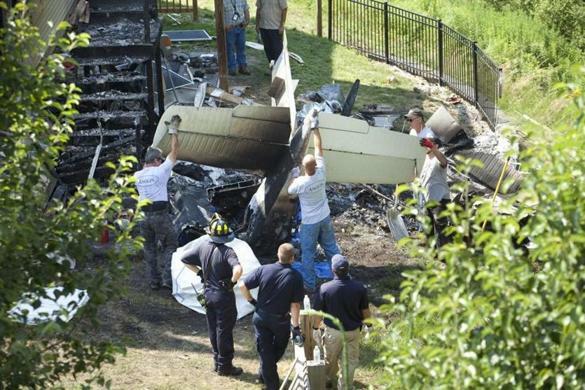 The airplane impacted the corner of the roof and the backyard deck of a residence, and came to rest upright, parallel to and about 15 feet from the rear wall of the home, oriented on heading of 320 degrees. 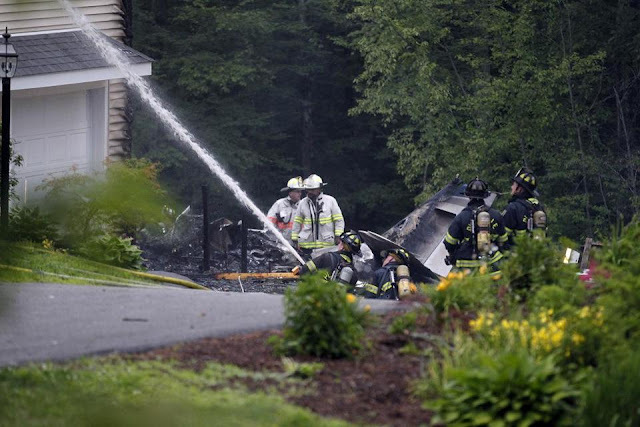 The airplane and much of the residence were consumed by post-crash fire. Flight control continuity was established from the flight control surfaces to the cockpit area; the left rudder cable and the left aileron cable turnbuckle exhibited overload fractures. The right flap actuator was consistent with the right wing flap in the retracted position. The left flap actuator was consumed by fire. The landing gear and actuators were found in the extended position. First responders reported detecting a strong odor of fuel when they arrived on scene. Preliminary examination of the engine revealed that the crankcase was breached over the #6 cylinder barrel. Two additional puncture holes were found in line with the #1 cylinder connecting rod, located between the left and right magnetos. The oil sump was fractured and partially melted away. Fragments consistent with bearing material, connecting rods, lifters and crankcase material were found in the oil sump and outside the engine crankcase. The engine was retained for further examination at a later date. The 1735 recorded weather observation at KSFZ (8 miles southwest of the accident site) included: wind from 010 degrees at 9 knots; overcast sky at 800 feet above ground level; visibility 10 miles; temperature 14 degrees C; dew point 11 degrees C, and an altimeter setting of 29.70 inches of mercury. 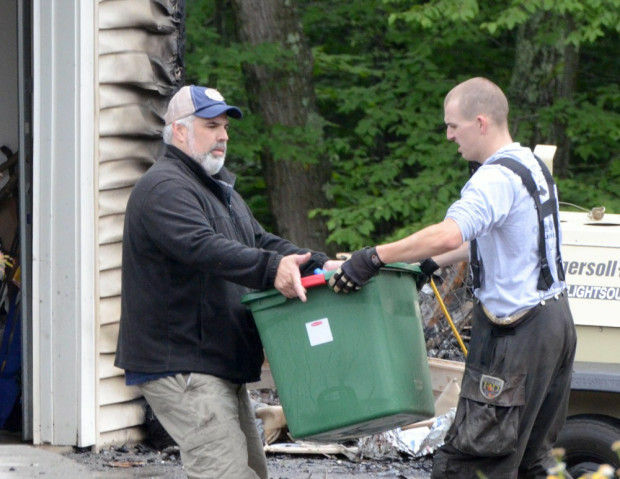 Firefighters helped Aaron Rice, left, owner of the house at 25 Bridle Path in Plainville, remove some items from the house Monday. 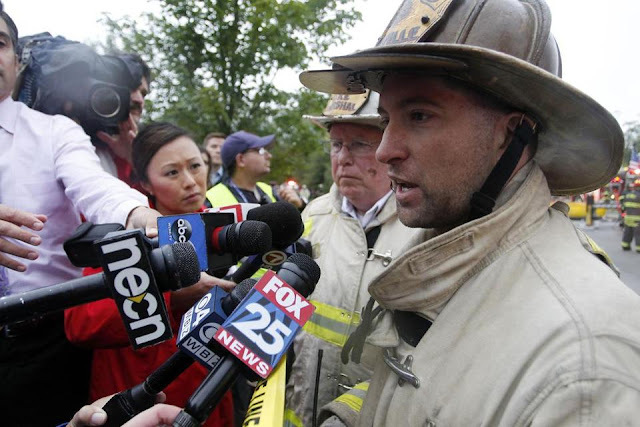 The Providence Canteen assisted firefighters at the scene, and they deserve your help, Betsy Shea-Taylor writes. 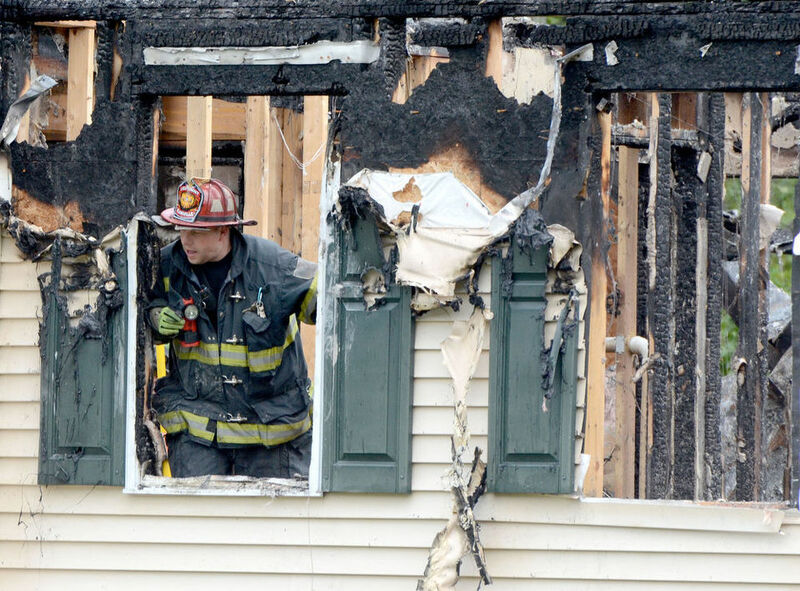 After a small plane crashed last Sunday into a Plainville home, setting it afire, first responders included a truck carrying food and water to support fire crews, police and others affected. 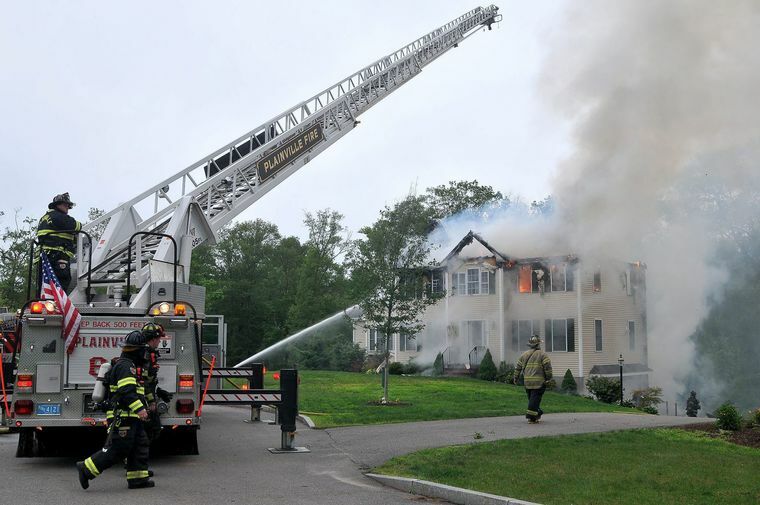 The Special Signal Fire Association, or Providence Canteen, is a fixture at emergencies in the greater Attleboro area but may be unfamiliar to most residents. It's always there to help, and can always use help. We'll touch on that later. The crews of this volunteer corps, a 501(c), tax-exempt nonprofit, work with scant fanfare but the service is invaluable to firefighters and to victims awaiting Red Cross assistance. Dehydration, in particular, is a major concern for firefighters carrying heavy packs into danger and engulfed by heat. Providence Canteen, which works out of facilities in Providence, has been around for 48 years, its genesis a two-man crew with a station wagon answering about 30 calls a year. The service of ferrying refreshment to fire scenes has grown into three trucks making about 550 runs a year throughout Rhode Island, into Southern Massachusetts and parts of Connecticut. The canteen has volunteers on alert 24/7 and 365 days a year. 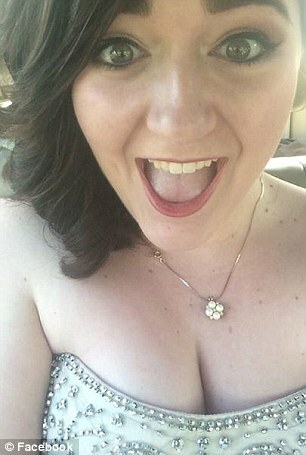 "My dedicated service is in my heart," said Phillips. "People sometimes say 'you get nothing out of it.' But you're giving back what you know without any reservation." Phillips later joined the Providence Police Reserves, and then worked for 18 years as a police dispatcher. His background reflects those of many canteen volunteers; for instance, director is Paul O'Rourke, a Providence Police Department retiree, who has been a volunteer for 40 years. The Providence Canteen responds not only to fires but also to floods, search and rescue operations, drills, haz-mat incidents and other crises. It set up at Ground Zero at the World Trade Center after the 9/11 attacks, and served 2,500 people, said Phillips. It also helped after a Florida hurricane years ago and in Springfield, after tornadoes leveled homes. The service relies on several retailers for items such as coolers, bread, water, meat and so on. The canteen frequently prepares chili and beef stew on its truck burners, as it did during its response to Plainville last Sunday. The Providence Canteen has responded to crises in Norfolk and Bristol counties. When supplies run low, volunteers dig into their own pockets. Help those who stand ready to help you and your neighbors. 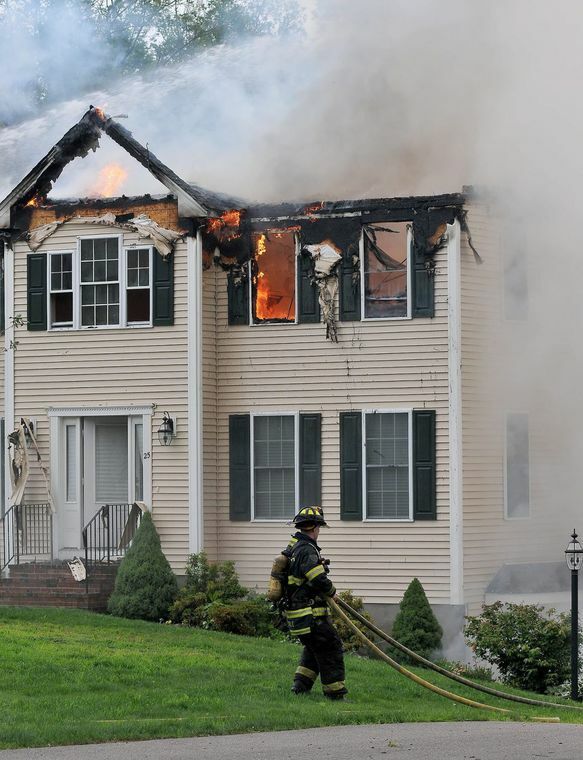 PLAINVILLE — The engine used in the aircraft that crashed into a Bridle Path house, killing the plane’s three occupants, was part of the same family of engines that suffered a series of crankshaft failures in 1999. An investigator from the National Transportation Safety Board probing the wreckage of Sunday’s crash reported finding a hole in the crankcase of the engine, although the NTSB has yet to assign a cause for the accident. 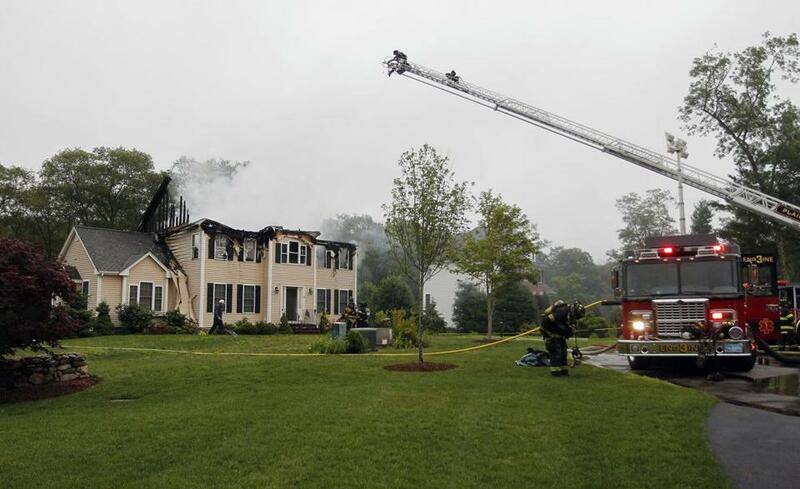 Dr. Joseph Kalister, the pilot; his wife, Betty; and their daughter, Nicole, were killed when their single-engine Beechcraft lost power and crashed into a house at 25 Bridle Path. Just before the crash, Kalister radioed air traffic controllers that he was losing power, had a bad vibration and that he finally lost engine power. 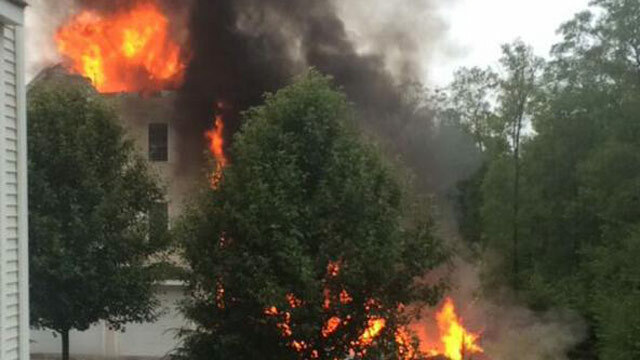 Shortly after that, the plane crashed into the house about 5:45 p.m. Sunday, bursting into flames. Four occupants of the dwelling, Aaron Rice; his wife, Carol; their two sons and family pets managed to escape unharmed. 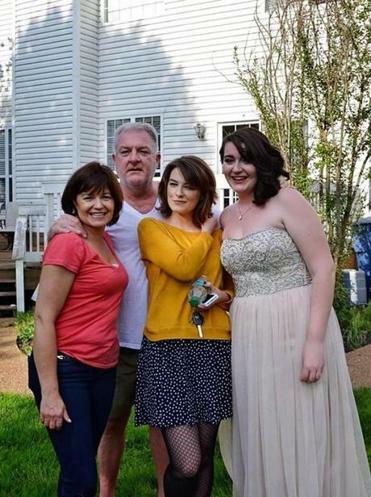 The Kalister family was from Knoxville, Tenn., and was coming to Massachusetts to visit Northeastern University in Boston, where Nicole was enrolled as a freshman. 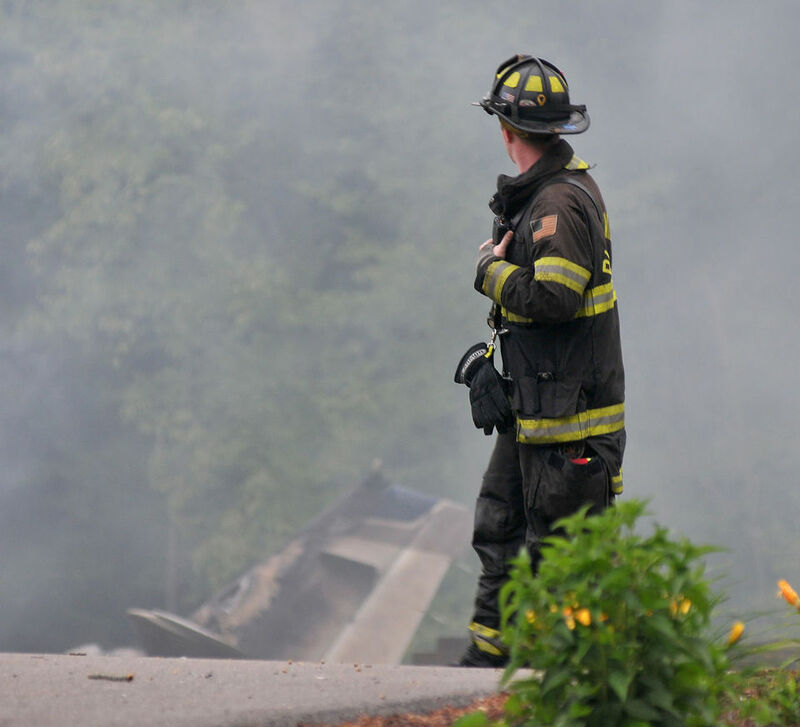 The plane was bound for Norwood Municipal Airport, about 15 miles from the crash site. According to FAA registration records, the aircraft was powered by a Continental IO 550 engine, a 280-horsepower, six-cylinder powerplant. The IO 55O is among a family of engines manufactured or rebuilt from 1998 to 2000 that was subject to an FAA emergency airworthiness directive because of metal defects in a connecting rod journal. “This condition, if not corrected, could result in crankshaft connecting rod journal fracture, which could result in total engine power loss, in-flight engine failure and possible forced landing,” the 2000 FAA directive reads. The FAA reported finding at least 13 cases of crankshaft failure beginning in late 1999. The remedy called for by the FAA at the time was to take a core sample from the crankshaft propeller flange to check for defects and to replace any crankshaft that turned out to be unserviceable. It is not clear when the engine in the Kalister plane was manufactured or whether it was among those subject to the inspection and repair directive. Representatives of Teledyne Continental, the manufacturer, did not return a phone call from The Sun Chronicle Wednesday. Local aircraft repair technicians were reluctant to speculate on the cause of the crash. “There could be a thousand possibilities,” one mechanic said. Aircraft maintenance expert Mike Busch of Savvy Aviator Inc. wrote on the Aircraft Owners and Pilots Association’s website that crankshafts usually fail because of one of three factors: early failure because of improper materials used in manufacture, failures due to the airplane’s prop striking a foreign object or oil starvation and/or bearing failure. However, he wrote that catastrophic failures due to prop strikes have declined as the danger from such causes has become more recognized. NTSB spokesman Keith Holloway said it is too soon to speculate on what might have caused the aircraft to lose power, and that the engine will be sent to the manufacturer for inspection. The airplane’s maintenance and inspection records will also be looked at, he said. 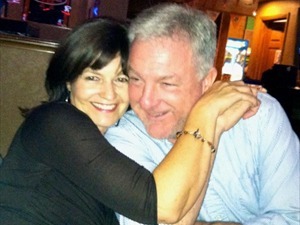 Tennessee doctor Joseph Richard Kalister his wife Betty. 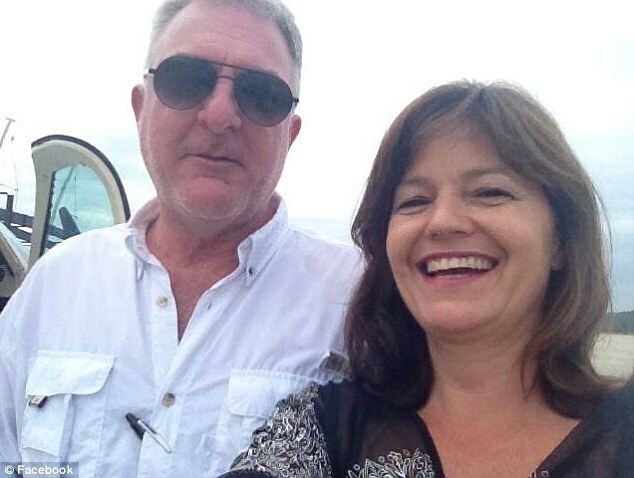 Betty Kalister (left), Joseph Richard Kalister, and daughter Nicole Kalister (right) were killed in the crash in Plainville. Joseph Richard Kalister his wife Betty. National Transportation Safety Board (NTSB) Investigator Doug Brazy updates the media on the current state of the investigation of a Beech A36 Bonanza plane crash into a home on Bridle Path in Plainville Sunday killing all three family members on board. 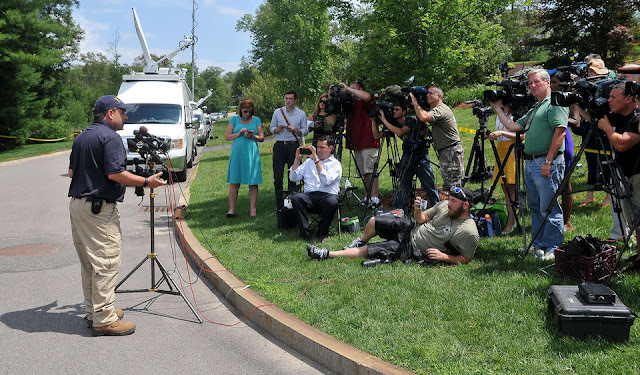 National Transportation Safety Board (NTSB) Investigator Doug Brazy gives the media an update on the Beech A36 Bonanza plane crash that killed 3 people on board in Plainville, Massachusetts. 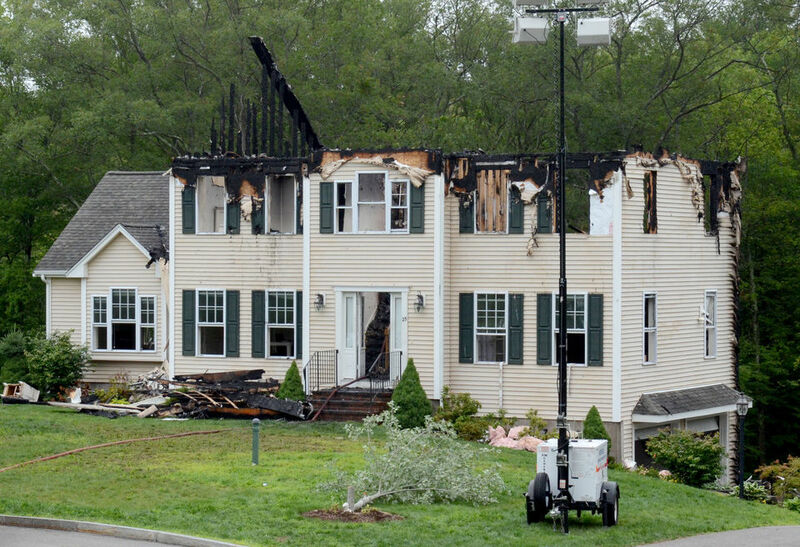 National Transportation Safety Board (NTSB) Investigator Doug Brazy gives an update on the crash of a Beech A36 Bonanza into a Plainville, Massachusetts home on June 28, 2015. 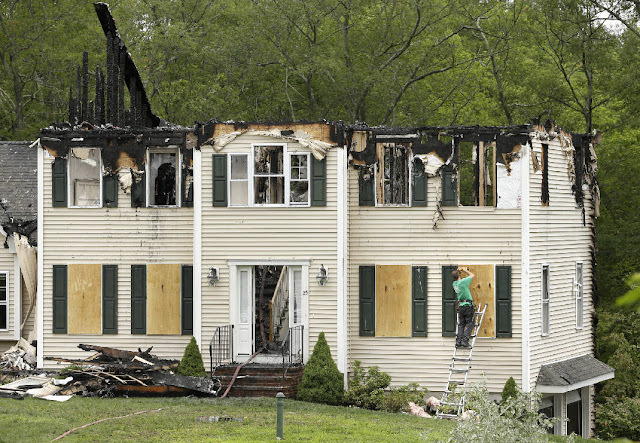 A Plainville fire lieutenant looks out of 25 Bridle Path in Plainville where a plane crashed into it Sunday. 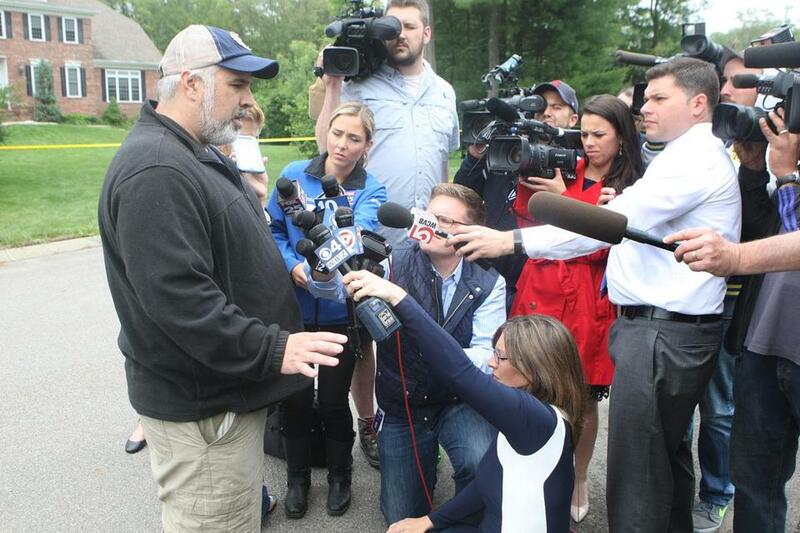 Aaron Rice talks about the plane crashing into his house in Plainville. Aaron Rice told reporters he and his wife and their two sons were home at the time of the crash. 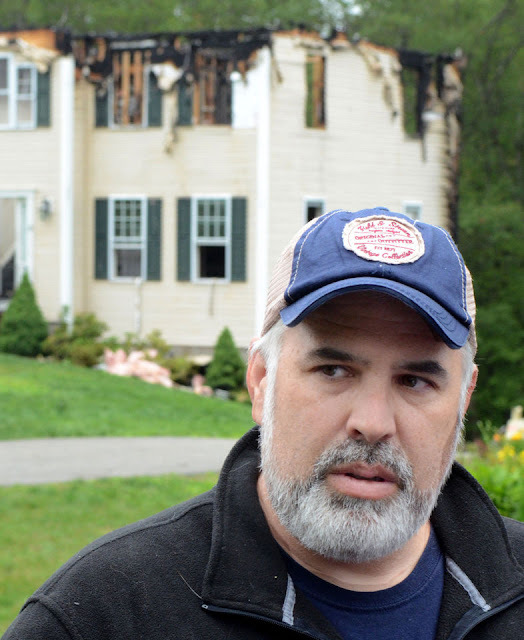 Aaron Rice, owner of the house at 25 Bridle Path in Plainville, where a plane crashed on Sunday. 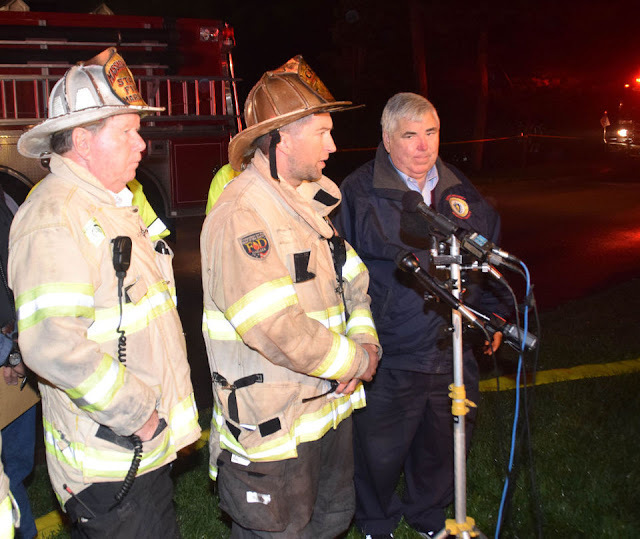 Norfolk County District Attorney Michael Morrissey, Plainville Fire Chief Justin Alexander and Massachusetts Fire Marshal Stephen Coan speak during a press conference Sunday night..
Plainville’s fire chief, Justin Alexander, spoke with the media. 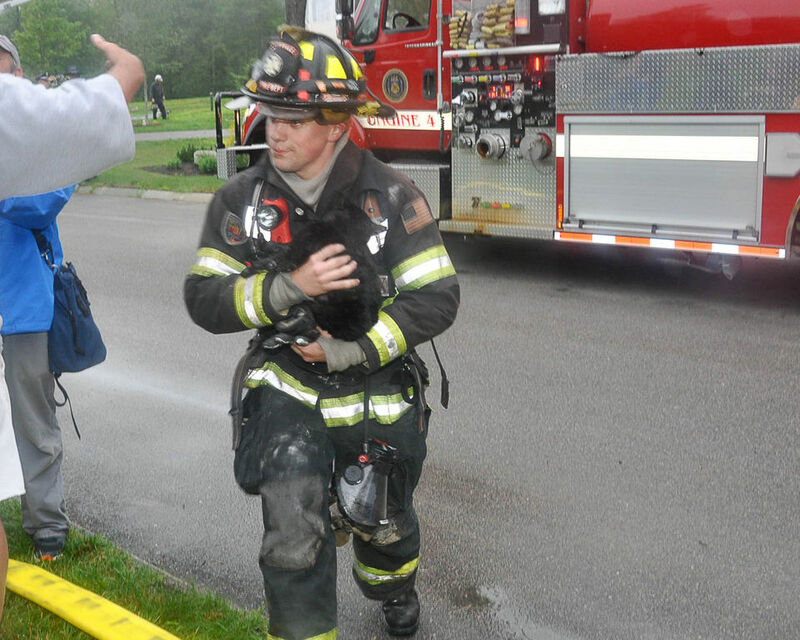 Plainville firefighter Joe Rabuffo holds one of three rescued cats from the house struck by a plane in Plainville Sunday night. The initial response doesn’t have much manpower. This part of town doesn’t have fire hydrants. There are cisterns which have water in the ground in the subdivision, but they’re labor intensive to get the water out. It’s difficult with the limited water to have to deal with such a large fire. When I came across this sad story, I had to pause. You see, I use to fly a this kind of Airplane for a small company in California. I never had a accident, however as most pilots can tell you about some close calls. When flying a airplane with one engine, that engine is vital to the flight. It is very rare for this engine to malfunction. The FAA report of him "requiring glasses for vision" is stupid to post. It has no bearing on this accident. They were flying instrument flight rules in the clouds. The ceiling was 800 feet at that time. They were at 3000 feet, descending, because they were almost at their destination. As for "fields and golf courses"... it doesnt do any good if they are shielded by clouds and unable to be seen. This was an unfortunat accident, but the pilot did everything in his power that he could have. If they were only turned slightly more right at the last moment.